Waterford City Enterprise Centre, in conjunction with Dungarvan Enterprise Centre, will be hosting a number of Connect Online workshops aimed at improving local businesses online skills and output. With €4billion being spent online in Ireland businesses cannot afford to ignore the digital space, these workshops offer the core skills a business needs to thrive in the online environment. 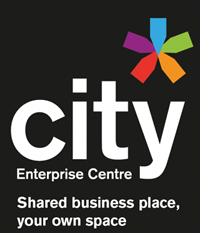 The workshops, which are being generously subsidised by the Local Enterprise Office, will cover a wide range of digital topics. Workshops on offer include Twitter, LinkedIn, Pay-Per-Click advertising, Google Analytics, Facebook, SEO, YouTube, Blogging, Pinterest, Email marketing, generating quality content for digital marketing, and managing your online presence. The wide range of selection allows participants to pick and choose particular areas of digital marketing that may benefit their business output and intake. As consumer activity continues to transfer rapidly to the online market with the ever explosive and expanding growth of digital technology, these workshops will allow small business owners insight into connecting with their customers through numerous means of digital channels. Each individual workshop will last for three hours and will cost participants just €30. Moreover, due to the enticing variety of workshops on offer, participants can avail of a special four for the price of three discount – an offer that allows them 12 hours of training for under €100. There are two sites for these workshops – Dungarvan and Waterford City. Dungarvan Enterprise Centre and Waterford City Enterprise Centre are connecting together to deliver this project. This collaboration will provide networking opportunities for businesses across the county. These workshops will allow businesses from all over Waterford the chance to meet and work closely together and develop ties that can help benefit each other.